Flowers hold the beautiful meanings which help you to speak your heart out! 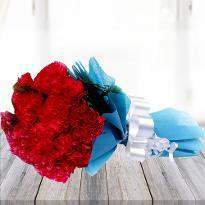 Whenever you are not able to express your feelings in words, go with flowers and say whatever you want to express. At Winni, we present the gorgeous range of flowers that you can give to your special ones to show your love, care and deep affection towards them. Our offered flowers are arranged in bunch, basket or bouquet arrangement in such a beautiful manner that will surely steal the heart of receiver at very first. Don't miss the given opportunity, buy flowers online in Mughalsarai and send these flowers to your special ones residing there. There isn't a single one on this earth who is not captivated by the mesmerizing beauty of flowers. That's the reason flowers are preferred to present to loved ones on their special occasions. Celebrations are the best reason to enhance your love & affection with your special ones where flowers can play a very vital role. Whenever you think to present a gift to your special ones, what comes in your mind at the very first? A bunch of fragrant flowers. Right? Because flowers are one of the best gifts that you can gift to your loved ones on any celebration or without any reason just to make them happier. We at Winni are known to offer the amazing collection of floral arrangements. You can easily choose your desired flowers as bouquet or floral arrangements to impress your loved ones in a lovely & simple manner. Our online flower store can provide mesmerizing flower bouquets or floral arrangements for every special moment. It does not matter whether it is the wedding anniversary, Father’s Day, birthday parties, farewell party, Mothers day and any other special occasion, you can quickly get the required flowers with great ease through our excellent services in Mughalsarai. We can easily make any time a special one in more than one way through these fragrant and fresh blooms. It's a great way to convey your message of love to them and fill them with immense happiness. If you are going for flowers, then it's a great choice of gifting. So, what are you thinking now? Sign up at our website and order flowers online in Mughalsarai for your special ones. 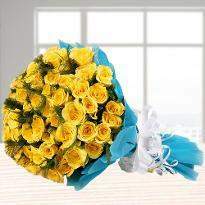 Send Mothers day flowers online from Winni to reciprocate your love towards your mom. After getting online delivery services, how do you feel? you might feel relaxed and happy to get excellent facilities. Right? Because it makes your life easy and time-saving. Whenever you are unable to meet your loved ones, you take the help of online delivery services to mark your presence around your special ones. So, you can say that online services are best to make your loved ones happier. If you are the one who wants to send flowers online in Mughalsarai, then Winni is one of the best & reliable websites that you are looking for. We are here to offer a variety of flowers in lovely arrangements and superb services. Now, you can send flowers online to your special ones on your desired time on their doorstep. Now despite the far distance, you can make your people feel your presence around them and complete their lovely occasions. Believe us! Nothing is adoring than flowers to make your dad feel extra special on Father's day. Buy Father’s day flowers online from here and send to delight your dad. More than this, you can also choose unique gifts or delicious cakes for your special ones. If you want to deliver these flowers or gifts at midnight, then you can select the given option on our website. You can make your simple event more beautiful or memorable one with online delivery service in Mughalsarai even when you are while away from your special one. It's a great opportunity to enhance your love & bond and create a valuable time. So sign up at our website. Choose your desired floral gifts and send flowers online in Mughalsarai and enjoy the fast delivery services provided by us.